Spread over 6,641 sq. km along the magnificent Canadian Rockies, Banff National Park is located in Alberta, a prairie province of Canada. Banff National Park with its snow-capped mountains, ethereally coloured glacial lakes and abundant wildlife is a must visit place, recommended by all travel gurus. Banff was established as a National Park in 1885, and is Canada’s oldest national park. How to get to Banff National Park? Nearest Big City: Calgary, Alberta, Canada. Calgary is the nearest, main city and the easiest way to get to Banff is to drive from Calgary (if you are flying in), which takes about 1.5 hrs. See driving directions here. By Train: The only way you can get directly to Banff by train is to travel on Rocky Mountaineer (Luxury trip). Via Rail gets you to Jasper and then you will have to drive to Banff. Train travel is a good option if you are coming from Vancouver. Click the below links for directions to Banff on Google Maps. 1. Main entry gate (East Gate) at the mainline westbound lanes of the Trans-Canada Highway. 3. TransCanada Hihghway – Bow Valley Parkway / Lake Louise Dr near Lake Louise town. Getting around in Banff National Park. It is best to have a car, if you want to visit all the places whenever you like. Parking may pose some difficulty at few of the downtown Banff attractions and famous locales during the height of the tourist season. See this website for parking in and around Banff town. Public transit – Roam will get you to many Banff Town attractions, Lake Minnewanka and more routes are being added to reduce car traffic. If you are planning to go on scheduled / ticketed activities, the organizers may provide complimentary transport. If you are in Banff for winter, and visiting all three ski resorts, complimentary transport is provided from many locations. Tour operators like Brewster, Sun Dog tours also provide transit packages which include many Banff attractions. THERE IS A NEW tour service called Hopon Banff which will take you to sites in Banff Town, Johnston Canyon, Lake Louise Gondola, Lake Louise, and Lake Moraine for Adult $55 and Child 12 & Under $45. 2018 Season: From May 25th to October 2nd. When to visit & time required to visit Banff National Park? 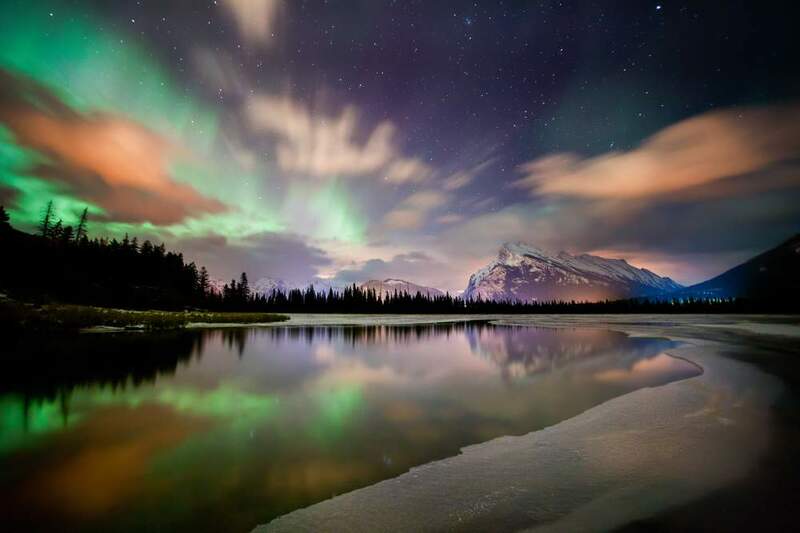 An year round travel destination, Banff is a great visit any time time of the year, but if you are not a winter enthusiast, Banff is at its best from Mid June to Mid October. Peak tourist season is, of course, the summer months of July & August. Fall season paints Banff National Park with a Golden hue and the hikes to see the Larch trees in Fall is another experience altogether. Banff is a paradise for winter enthusiasts and you are guaranteed to have a White Christmas here. How much time to allocate for your Banff trip, may very well depend on your budget and interests. It is good, if you can allocate, at least two days to spend in Banff & Lake Louise. You need to spend 5 days, to SEE & DO the real Banff : like hiking and canoeing in summer & Skiing and Snowboarding in winter. How much does it cost to enter Banff National Park? The following is applicable for 2019. Fees will increase in 2020 (TBA). One day Pass – Valid until 4:00 PM the next day. If you have two vehicles – you need 2 passes, one for each vehicle. There are other fees like camping fees, fishing license etc if you are planning to do these activities inside the park. Few attractions like museums & Hot Springs charge additional admission fees. See the attractions page (links below) for details. If you are planning to stay on for a few days (7 +) , consider buying Discovery Pass ($ 136.40 for up to 7 people arriving in a single vehicle) – This pass is good for a year and gets you into nearly 100 National Parks, National Marine Conservation Areas and National Historic Sites in Canada. Where to buy the Parks Canada – Banff National Park Entry Pass? Available at entry gates, Parks Canada Visitor Information centres, and Online. Discovery pass can be bought online and will be mailed out internationally. Discovery Passes can be bought from AMA locations and members save 8%. Where to stay depends on how long you are planning to spend in Banff and where you plan to concentrate your activities. Remember that, distance between Lake Louise / Moraine Lake to Banff Gondola / Lake Minnewanka / Banff Town is approximately ~ 60 km . Peyto Lake (Best visited enroute to Jasper National Park) in Icefields Parkway is another ~ 44 km North from Lake Louise. Like to stay put throughout your vacation? 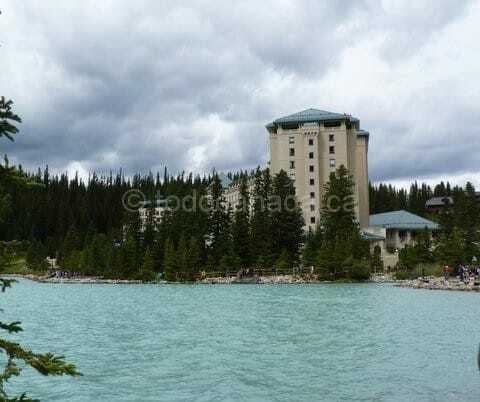 – Choose accommodation in either Banff Town or near Lake Louise. 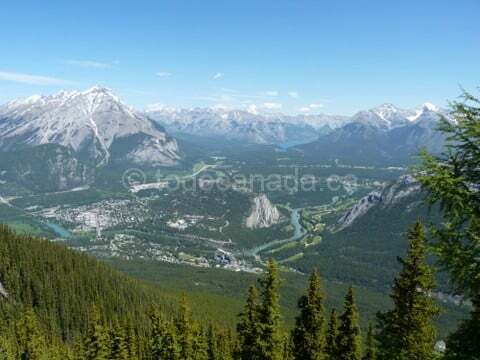 Choose Banff Town, if you are planning to go on day trips into Yoho & Kootenay National Park. Just a day and not venturing into Jasper National Park – Calgary. Banff is just couple of hours away. Two days and more – In Banff town or Lake Louise town – depending on where you are planning your activities. Town of Canmore, a destination on its own, provides cheaper accommodations, if one is willing to drive half an hour (Banff Town) to one hour (Lake Louise) every day to enjoy National Park attractions. One may also use, public transport from Canmore to travel to Banff Town. Banff National Park offers its visitors rustic camping experience and has plenty of campgrounds, spread across the Park. Otentik Camps are available at Two Jack Lake Campgrounds. See here for B&B, hotels, Lodges and other options in Banff National Park. What to do at Banff National Park? An entry in all published lists of Top Places to Visit in the World, Banff National Park offers its guests activities galore and a feast for ones senses. Scuba dive, Snow shoe, Canoe, watch wildlife or just revel in nature’s beauty! Rules might change from what is stated below and you should be aware of current laws. — Not allowed in public areas within the Banff town boundary. Listed below are the attractions, events, festivals and places to visit in Banff. One day itineraries are also given, if you don’t have time / many days to spare. Have more days, split the itinerary and add the activities like hiking, canoeing mentioned at each attraction. Click on each attraction listed below to get a comprehensive guide for the Banff attraction/place of interest which has all the answers for What, When, Were, How to do things in Banff including hikes, and other activities, admission, hours, directions, amenities & accessibility. Late spring and summer to view the garden in full bloom. Year round with seasonal restrictions. Johnston Canyon,Banff National Park, Improvement District No. 9, AB. 1 Whitehorn Road, Lake Louise, Alberta. Also see Icefields Parkway which traverses both Banff & Jasper National Park. That’s the best post I’ve ever seem!!!!??? This blog is so comprehensive and helpful! Thank you for putting it together! It saves me heaps of time!